In keeping with these findings, Starbucks decided to help the environment by providing a new “ceo-friendly” coffee cup, composting coffee grounds, and recycling burlap bags. The company also has initiatives to help small coffee bean farmers local community programs, and charitable giving. There are even employee incentives and awards for volunteering for these causes. 3. Specify the measurement and scaling procedures . Each of these components will be discussed in great detail in the subsequent chapters. First, we must further our understanding of research design with a classification of the different types. Research designs may be broadly classified as exploratory or conclusive (see Figure 3.1) The differences between exploratory and conclusive research are summarized in Table 3.1. 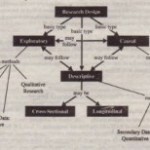 The primary objective of exploratory research is to provide insights into, and an understanding of, the problem confronting the researcher.I Exploratory research is used in cases when you must define the problem more precisely, identify relevant courses of action, or gain additional insights before an approach can be developed. The information needed is only loosely defined at this stage, and the research process that is adopted is flexible and unstructured. For example, it may consist of personal interviews with industry experts. The sample, selected to generate maximum insights, is small. and non representative. The primary data are qualitative in nature and are analyzed accordingly. Given these characteristics of the research process, the findings of exploratory research should be regarded as tentative or as input to further research. Typically, such research is followed by further exploratory or conclusive research. Sometimes, exploratory research, particularly qualitative research, is all the research that is conducted. In these cases, caution should be exercised in utilizing the findings obtained. Exploratory research will be discussed in more detail in the next section. cause of concern to 33 percent of the respondents. The objective of conclusive research is to test specific hypotheses and examine specific relationships. This requires that the researcher clearly specify the information needed.’ Conclusive research is typically more formal and structured than exploratory research. 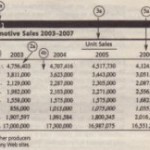 It is based on large, representative samples, and the data obtained are subjected to quantitative analysis. The findings from this research are considered to be conclusive in nature in that they are used as input into managerial decision making. (However, it should be noted that from the perspective of the philosophy of science, nothing can be proven and nothing is conclusive.) 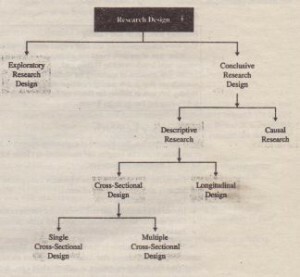 As shown in Figure 3.1, conclusive research designs may be either descriptive or causal, and descriptive research designs may be either cross-sectional or longitudinal. Each of these classifications is discussed further, beginning with exploratory research. • Formulate a problem or define a problem more precisely. • Identify alternative courses of action. • Gain insights for developing an approach to the problem. • A comparative analysis of the five best and five worst stores of the same chain to gain some idea of the factors that influence store performance .